We at Patina Nation know how important it is to stay up to date in your field – and also to expand your professional network. That’s why we’ve created Communities of Practice, which are regular gatherings for people in the same industry sector or functional area to talk about best practices and network with others who share the same passions. These communities are free and you can join as many as you’d like. The majority of these meetings will be virtual, so Patina Nation members from around the U.S. can participate. It is helpful to be an active participant in these communities, because Patina learns more about you as a resource to serve our clients. Our Accounting and Finance Community of Practice is led by Mike Harris of Patina. A proven and prolific entrepreneur, Mike has significant experience in starting and building professional and technical services firms. Patina Solutions is his sixth professional services start-up since 1995. Mike is best known as the founder and former CEO of Jefferson Wells, which grew to $132 million in sales with 23 offices and 1,600 employees in five years. Jefferson Wells was acquired by Manpower for $174 million in 2001. Inc. magazine ranked Jefferson Wells as number five of the 500 fastest-growing private companies in America in 2001. Since Jefferson Wells, Mike has founded firms including the Novo Group and Adams Harris. He is currently a Board member for Novo Group, Tax Air and Bentley World Packaging. 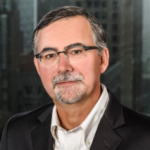 Mike is a frequent speaker on topics ranging from entrepreneurial endeavors to transitioning from CFO to CEO. Earlier in his career, Mike was CFO for Alternative Resources Corporation and Wind Point Partners. A CPA, he has a bachelor’s degree in accounting from University of Wisconsin – Parkside. Our Healthcare Community of Practice is led by Mary O’Brien of Patina. The Changing Healthcare Landscape: Leverage Your Network to Create a Win-Win. To learn more about Health eFilings, click here. 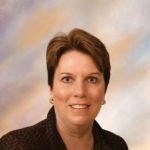 Mary O’Brien is the National Practice Director for Healthcare for Patina Solutions, a professional services organization that provides highly experienced executives to clients needing help executing tactical and strategic business objectives. Mary has been with Patina for over five years. Mary has more than 25 years of experience in hospital and health system leadership, building successful teams that have achieved exceptional outcomes in quality, patient experience, cost and market share. Prior to joining Patina Solutions, Mary held executive leadership positions within Aurora Health Care in Milwaukee including the President of Aurora St. Luke’s Hospital. Before joining Aurora Health Care, Mary spent over 25 years as an executive leader in the Northshore University Health System just north of Chicago. Her last position there was President of Highland Park Hospital in Highland Park Illinois where she served for six years. Mary is a Fellow in the American College of Healthcare Executives. Our Coaching and Mentoring Community of Practice is led by Silvia Masini of Patina. Silvia Masini is an accomplished business and HR leader with extensive experience working with C-level executives, leading and advising organizations on the development and delivery of human capital, HR strategies and organization effectiveness solutions. 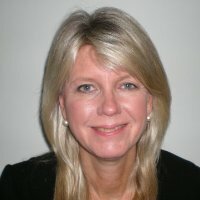 She possesses a unique background that combines more than 25 years of HR leadership, business management and management consulting experience. Our Supply Chain Community of Practice is coming soon!